The most festive Jewish meal she can remember from that time were potato-peel pancakes. Now, Federation partner JDC brings matzah to Bella each year, and her homecare worker has promised to teach her recipes for Passover. JDC has been assisting Bella since 2015 with homecare, medical equipment, emergency financial assistance, food, and medicine. This help is critical, since she lives on a $63/month pension and suffers from a host of medical issues — diabetes, high blood pressure, and various gastrointestinal disorders — that keep her largely homebound. A mock daytime Seder event will be a welcome reprieve. 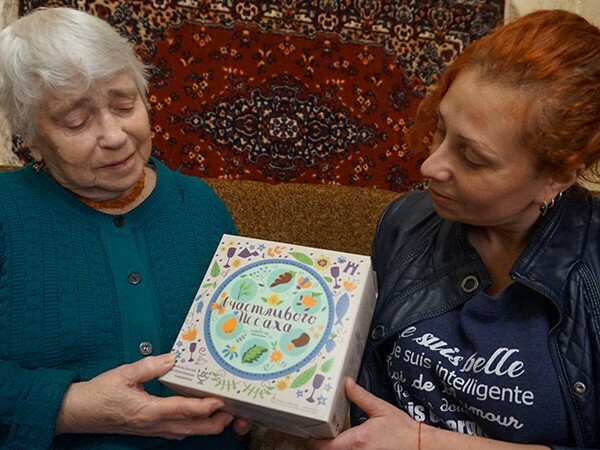 It is designed to teach elderly Jews like Bella about Passover, since their lives under Communism had many barriers to access for learning about Jewish culture and tradition. Forty-five clients of Odessa’s JDC-supported Hesed social welfare center are expected to participate in the program.